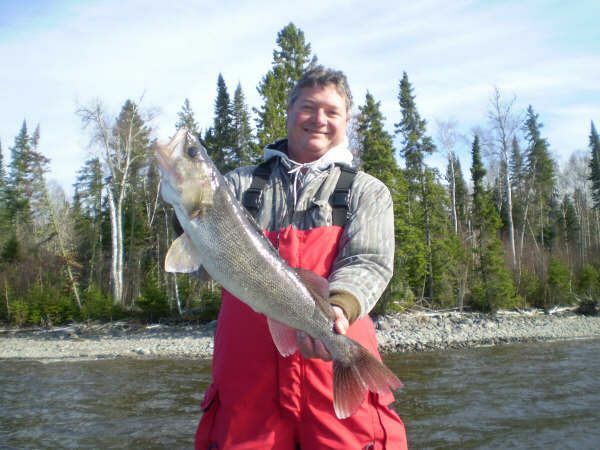 Ice out was May 14 for the central section of Lac Seul. By the calendar alone, this was a week earlier than last year, but we opened the walleye season on May 16 with a winter storm that sent us backwards by a week. The strong cold winds and continued cool overcast weather have locked the central section of the lake in a chilly torpor. Water temps have not reached 50 degrees and the walleye bite has been extremely difficult. It would only take a few days of consistent sunshine to heat things up, but we just can’t break out of this cold wet pattern. 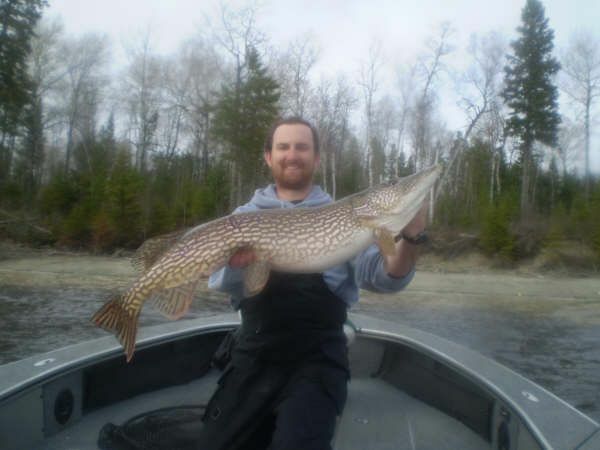 Finding shorelunch fish in 42 degree water was a challenge some days and for the week we had only 3 walleyes over 27 inches. 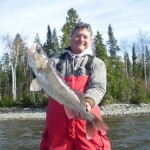 This was not the walleye opener that you dream of all winter long. 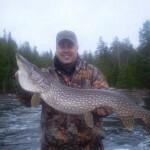 Despite the cold temperatures, we have had very good big pike bite for opening week of season. 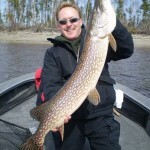 I moved some groups later into the year and we are only about 1/3 occupancy, yet we have caught and released 9 pike over 40 inches. 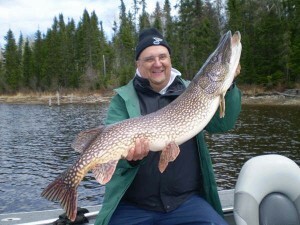 The biggest was a wide and fat 44 inch giant caught and released by Dwayne Heim. 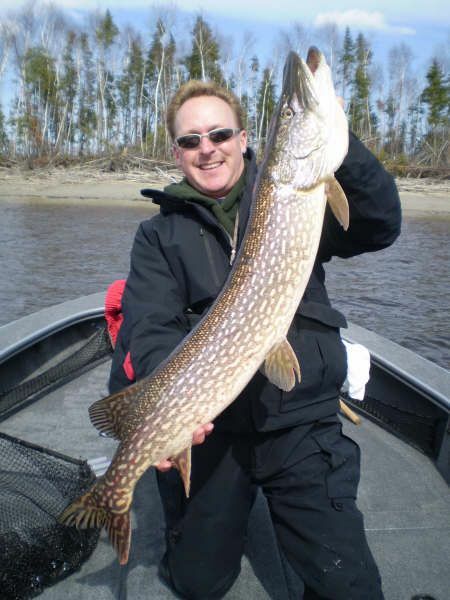 Most of the big pike this week were found on the first depth break in 4 – 12 ft. of water outside of shallow spawning bays. The clear presentation choice was suspending cranks. 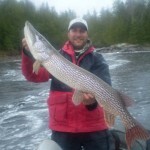 In particular X-raps in size 10 and 12 and Husky Jerks in sizes 10 – 14 were the top producers. 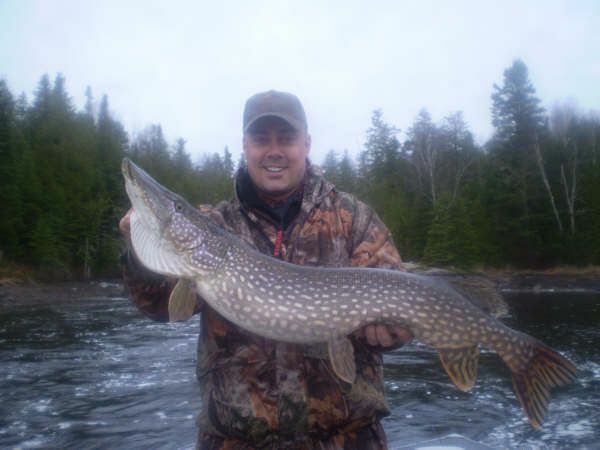 When the water was really cold (below 45), the smaller HJ 10s produced better than the larger baits. 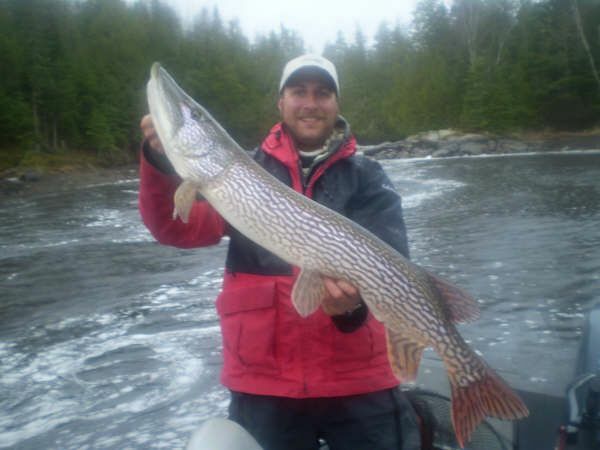 A stop and stall retrieve was critical to consistently trigger lethargic fish. 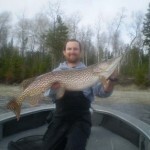 The Kicker:	When I asked guide Graham Coulombe where he found the big pike of the week, he told me, “You know that ice patch on the shore in that little nook south of Ronnie bay… right there, actually it was a 36” – 44” double header.” – That is how cold it has been up here for opener.